In the afternoon of Friday 5 April 2019, from 3.30 pm, Proximus encountered national problems on its fixed telephony network. During the disturbance, it was temporarily impossible to make calls from a Proximus fixed line to a mobile number or to a number from another operator. Voice traffic was also not possible in the other direction. As a result, emergency services 100, 101 and 112, which use Proximus' fixed network, were only accessible from a Proximus fixed line. Proximus has done everything possible to restore the situation as quickly as possible. This was done in close consultation with the crisis centre, BIPT, the Ministry of the Interior and other emergency services. Another means of contacting emergency services in case of life-threatening situations, by SMS at 8112, was opened and mentioned in all communications. In addition, it was stressed that emergency numbers were still accessible from Proximus fixed numbers. From Friday afternoon at 6:15 pm, the technical incident was resolved and traffic on the network gradually returned to normal. By 7pm, the situation had completely stabilized and the network was once again able to handle normal traffic. Further technical analysis has shown that the cause of the incident is a software problem in the network equipment. This software problem led to the fact that a network element that interconnects the Proximus fixed network with other networks - fixed and mobile - did not work properly, also explaining why calls between Proximus fixed lines were still possible. Since Friday evening, the impact has been eliminated. 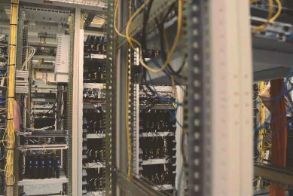 Proximus works closely with the network equipment supplier to implement a short-term software update to solve the underlying cause of the problem. Proximus is confident that the measures taken will prevent this problem from recurring in the future. Proximus will continue to monitor the situation closely in order to guarantee a complete and qualitative service and would like to apologize for the inconvenience caused by this incident.